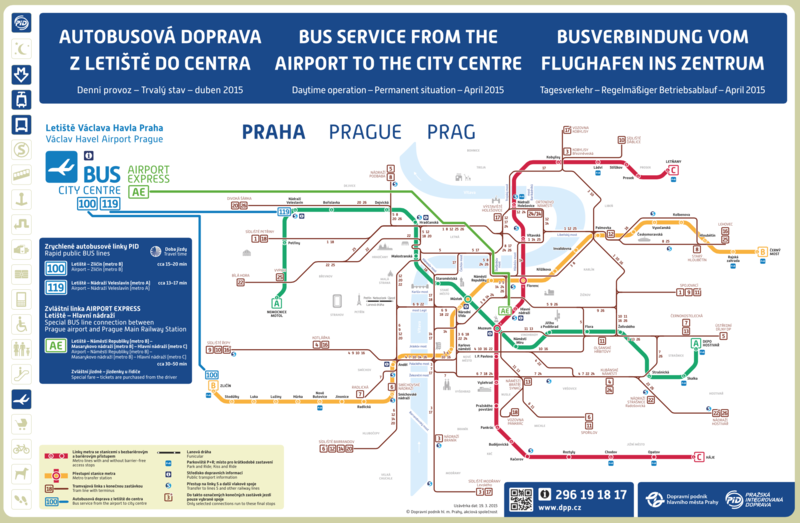 Prague is a big city with good public transit system. However, direct metro line to the airport is still something to be desired. It is still possible to get to airport with the help of metro, though. How? From station Nádraží Veleslavín, you must take the bus 119, which will take you to the airport. It is still in the zone of Prague Integrated Transport, so ordinary ticket will do. The journey takes about 17 minutes. From terminus station Zličín, take the bus 100. It is in the zone of Prague Integrated Transport as well, so no additional tickets are needed. Similarly, the journey takes about 17 minutes as well. Line C is is little different. The buses of Airport Express company depart from Hlavní nádraží station every 30 minutes. This line however is not a part of Prague Integrated Transport, so you cannot use your metro ticket. Standard price for an adult is 60 czech crowns. The journey takes about half an hour. If you’re just now signing up for an account, you can get your very first Uber coupon right away. You can use this to offset the costs of your first ride with a hefty ride credit. How can you get to Prague? Have you decided that you would like to visit Prague? The easiest and the cheapest way is to use the air transportation. Below we have prepared the most convenient flight tickets for your wished destination. Would you like to have a stylish and at the same time comfortable accommodation? The best way how to get to know the local culture and to find new friends is through Airbnb. Every time we travel to a new country we use this kind of accommodation. Therefore, we can truly recommend it! Moreover, we have provided a discount of 750 Czech crowns for your first stay – it is a worth a try, isn’t it?